Send a sick kid to camp, support the Humane Society, or how about contributing to a campaign that funds the construction of a telescope that could obtain the first image of an Earth-like planet outside our solar system? "We're at an incredible moment in history, where for the first time, we have the technology to actually find another Earth." The announcement of Project Blue is exactly that—an organized effort of citizens who are funding a telescope that could obtain the first image of an Earth-like planet outside our solar system with a crowdfunding campaign on Kickstarter, described as participating in an historic moment. Regardless of the methodology of funding for the telescope, the project is very interesting. For thousands of years, humans have gazed at the stars and wondered about Earth's place in the cosmos. Is our planet unique, or is the universe filled with worlds like our own? Now, the first opportunity to find an answer may have arrived. Project Blue, first announced last month, is a consortium of leading space and research organizations looking to capitalize on recent breakthroughs in exoplanetary imaging technology. 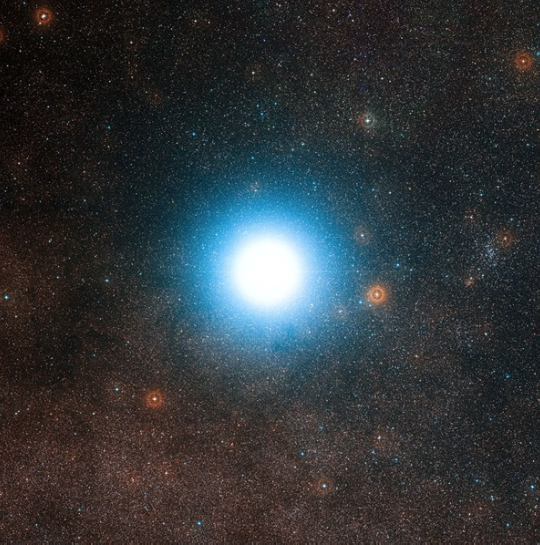 The project will build and launch a low-cost and lightweight telescope focused on the habitable zone of Alpha Centauri, the closest neighboring star system to Earth. Leading astrophysicists believe that finding and photographing planets in this system is achievable on a four-six year timeframe—and at a fraction of the cost of midsize space missions. From what we've learned from breakthrough missions like NASA's Kepler observatory, astronomers believe there could be as much as an 85 percent probability that at least one potentially Earth-like planet exists in the habitable zones of one of Alpha Centauri's two sun-like stars. Jon Morse, Mission Executive for Project Blue said, "We're at an incredible moment in history, where for the first time, we have the technology to actually find another Earth. Just as exciting—thanks to the power of crowdfunding—we can open this mission to everyone. With the Project Blue consortium, we are bringing together the technical experts who can build and launch this telescope. Now we want to bring along everyone else as well. This is a new kind of space initiative—to achieve cutting-edge science for low cost in just a few years, and it empowers us all to participate in this moment of human discovery." In leveraging the power of crowdfunding, Project Blue intends to let ordinary citizens join in pushing the boundaries of space exploration. It aims to carve out a third type of mission alongside governmental and for-profit enterprises, where citizen-driven efforts can achieve high impact, frontier discovery. The Kickstarter campaign builds off of previous successes in space crowdfunding, which have made significant accomplishments while drawing in thousands of backers who are excited to participate in space exploration. The campaign will run until December 20. Its initial goal of $1 million is enough to lay the technical groundwork to advance the mission development. If the project meets its stretch goals, significant flight component manufacturing will be funded exclusively by the public. The campaign offers a range of meaningful prizes for different tiers of support, from exclusive mission patches and apparel, to educational resources and opportunities to meet and interact with scientists involved. "The Project Blue campaign takes a very exciting trend on Kickstarter to new heights," said Nick Yulman, Kickstarter's senior technology curation specialist. "It has been inspiring to see our community come together to support ambitious scientific research and space exploration missions. Groundbreaking campaigns like this give backers a chance to play a central role in the democratization of scientific discovery and an opportunity to learn directly from the creators driving innovation." In recent years, the Kepler mission has detected thousands of planets outside our solar system, some of which orbit their parent stars in the "habitable zone"—at the right distance from their star for liquid water to exist on the surface. But, without the ability to see those planets directly, scientists can only guess about their surface properties. In October 2015, government and university scientists published research suggesting that a lightweight, low-cost telescope could successfully suppress light from both stars in the binary Alpha Centauri system and photograph planets in its habitable zone. This set the stage for the launch of Project Blue. "Kepler told us that almost every star forms with planets and that small rocky planets are numerous," said Debra Fischer, a researcher at Yale University and member of the Project Blue Science & Technology Advisory Committee. "This discovery has fueled the exoplanet community's exploration of new worlds beyond our solar system, and we've been waiting anxiously for the opportunity to take the next step. Now that opportunity is here—to examine the planets that orbit the stars next door." Project Blue is a new science initiative to capture the first photograph of a potential Earth-like planet orbiting another Sun-like star. The mission aims to launch a lightweight space telescope to directly image exoplanets around Earth's nearest star system, Alpha Centauri A and B. With a budget the fraction of the cost of a mid-size astrophysics mission, and a planned launch by the end of the decade. Through active collaboration between research institutions, universities, private industry, and citizens, Project Blue seeks to make space exploration a participatory, collective endeavor and inspire millions worldwide to engage in scientific inquiry. Participating organizations include the BoldlyGo Institute, Mission Centaur, the SETI Institute, and the University of Massachusetts Lowell.